One of the most important parts of buying a house is figuring out exactly how much you can realistically afford to pay. How much home can you afford? You’ll have to take a good long look at your budget, credit reports, credit score, and your debts. Once you’ve got a logical picture of your financial situation, start saving up for a down payment, closing costs, and other expenses that could come with your new home. For example, some extra expenses could be for a home inspection or moving after the sale is closed. If you’re purchasing an existing home, father utility cost averages from the previous owners to help you prepare. 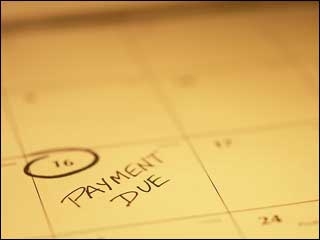 Getting ready financially could take between six and twelve months or more, depending on the condition of your finances. If your credit score falls below 620, lenders may see you as a risky borrower. This means you may only be able to qualify for a mortgage with a higher interest rate. In most cases it could be worth your time to take the year and work on building your credit back up before taking a mortgage responsibility. So how much home can you afford? Let’s determine this. There are a few basic formulas commonly used by lenders to determine how much of a mortgage you can reasonably afford. Qualifying ratios estimate the amount of money you should spend on a mortgage payment based on your income and other expenses. These ratios vary from lender to lender and on an individual basis. They are simply guidelines. Generally to qualify for conventional loans, your housing expenses should not exceed 26-28% of your gross monthly income. Monthly housing costs include the mortgage principal, interest, taxes, and insurance. For example, if your annual income is $30,000 then you’re gross monthly income is $2,500. $2,500 x 28% = $700. So, you should probably qualify for a loan with a monthly payment in this range, guiding you towards the amount of home you can afford. Calculate your monthly mortgage payment and budget here. So, when you’re ready to take the next step in your life and start to wonder how much home you can afford just refer back to theses guidelines.